CHICAGO (Sept. 30, 2014) – Eclipse Select Soccer Club’s Midwest Regional League contingent is coming off a trip to St. Louis this past weekend. Among the most noteworthy performances was the Eclipse Elite USYSA 2017 (U-16) team, which moved to 3-0-0 in the MRL season, earning back-to-back wins in St. Louis. 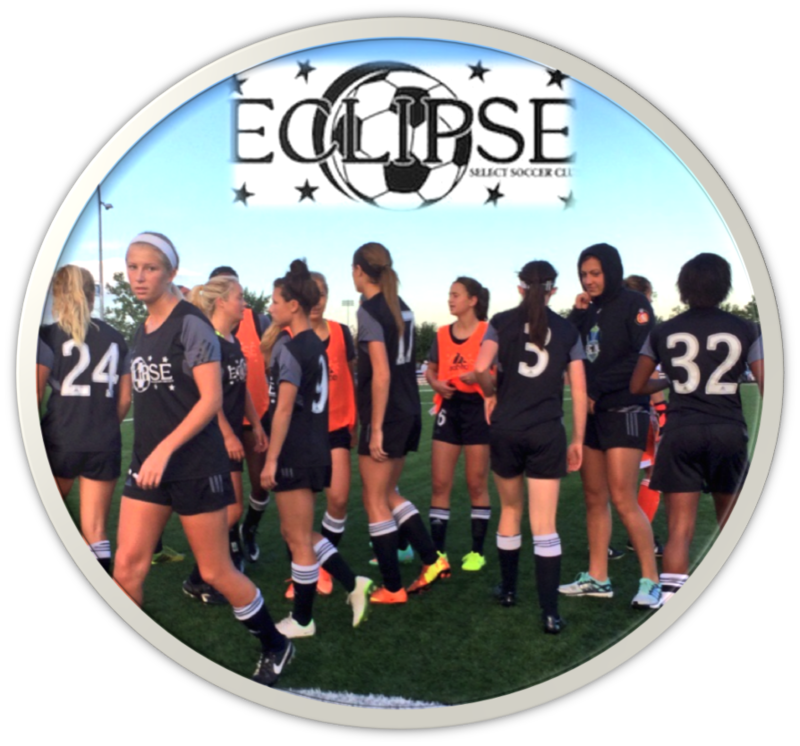 Eclipse rolled to a 6-1 victory against Sporting JB Marine Premier on Saturday and shut out Lou Fusz Paulsen (Mo.) on Sunday in the First Division White. 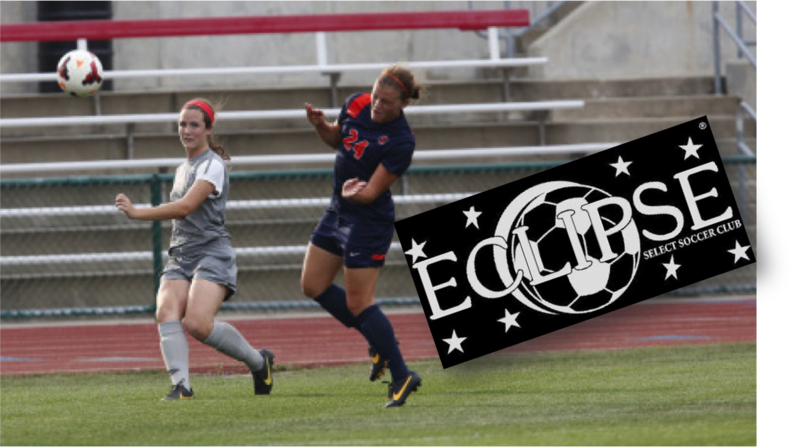 CHICAGO (Sept. 11, 2014) – Eclipse Select Soccer Club alumna and Ohio State sophomore defender Taylor Schissler (New Lenox, Ill.) had an offensive performance to remember. Schissler scored her first two collegiate goals to lead Ohio State to a 3-0 victory against George Mason on Sunday to cap off the Ohio State Tournament in Columbus. Schissler is coming off a 2013 freshman campaign where she recorded three assists in 18 games. Among other alumni news, Ohio University sophomore Carly Manso (Vernon Hills, Ill.) was recognized by the Mid-American Conference as its co-offensive player of the week, and for a second time this season, DePaul midfielder Alexa Ben (Schaumburg, Ill.) was named the Big East Conference Rookie of the Week. CHICAGO (Sept. 10, 2014) – Eclipse Select Soccer Club’s five Elite Clubs National League teams traveled to Kansas this past Saturday and posted a 4-0-1 record against Sporting Blue Valley at the Overland Park Soccer Complex. Eclipse Elite ECNL 2016 (U-17) tallied five unanswered goals after conceding an early score for a 5-1 victory against Sporting Blue Valley, led by a Channing Foster (Murray, Ky.) hat trick. 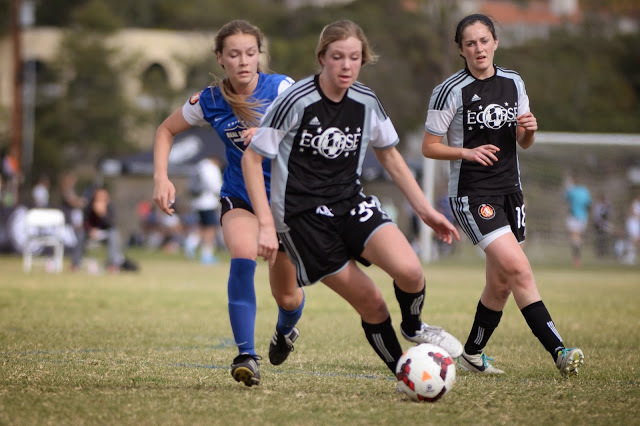 The Eclipse Elite ECNL 2017 (U-16) team had a similar path en route to its 5-1 victory. After conceding an own goal, Eclipse rallied back with Sam Salay (Glenview, Ill.) tallying the equalizer and Camryn Biegalski (Lombard, Ill.) scoring the first of her two goals. Eclipse Elite ECNL 2018 (U-15) built a two-goal cushion and defeated Sporting Blue Valley, 2-1. Eclipse Elite ECNL 2019 (U-14) earned a 2-0 victory and Eclipse Elite ECNL 2015 (U-18) notched a 1-1 draw. 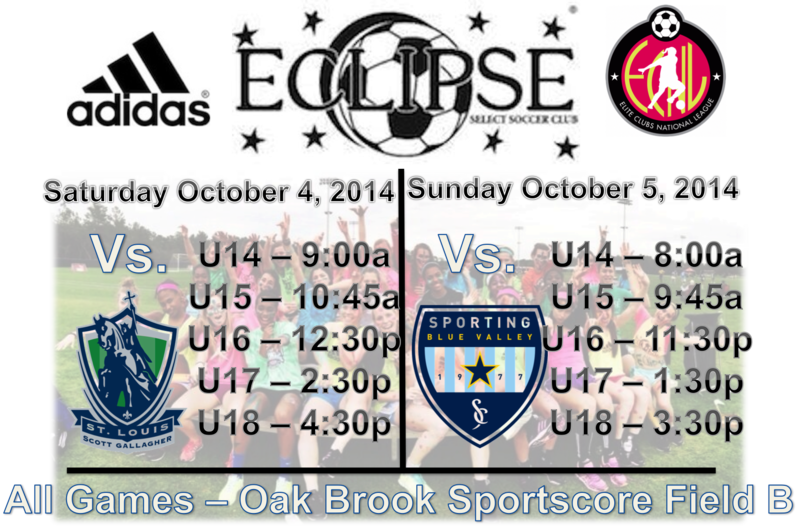 CHICAGO (Sept. 10, 2014) – Eclipse Select Soccer Club midfielder Alia Martin (Carmel, Ind.) has been called into a U.S. U-18 Women’s National Team camp taking place Sept. 13-20 at U.S. Soccer’s National Training Center in Carson, Calif. The core of this particular U-18 WNT squad will potentially form the USA’s qualifying team for the 2018 FIFA U-20 Women’s World Cup. Martin played for Eclipse Select’s U-16 Elite Clubs National League title-winning team this past summer, as much of this group enjoyed a second straight ECNL crown. 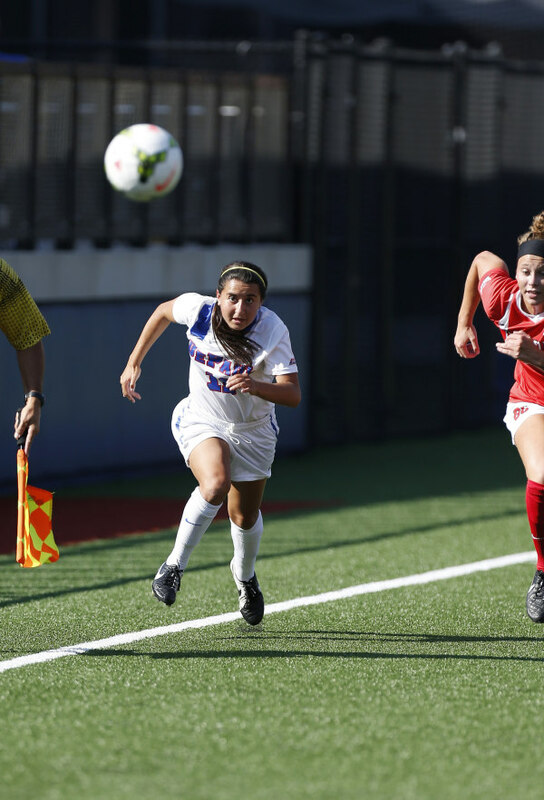 CHICAGO (Sept. 4, 2014) – Eclipse Select Soccer Club alumna and DePaul freshman Alexa Ben (Schaumburg, Ill.) is quickly making her presence felt in the collegiate ranks. She scored her first goal to help rally the No. 25 Blue Demons to a 3-1 victory against Illinois State on Wednesday at Wish Field in Chicago. Illinois Wesleyan seniors Kate Dunaway (Forest Park, Ill.) and Julie Govedarcia (Chicago, Ill.) scored their first goals of the season to lead the Titans to a 3-1 victory against Birmingham-Southern on Saturday in the DePauw Soccer Classic in Greencastle, Ind. Their goals came just two minutes apart in the 68th and 70th minutes, respectively, and gave Wesleyan a 2-0 lead. Govedarcia’s tally proved to be the game-winner. 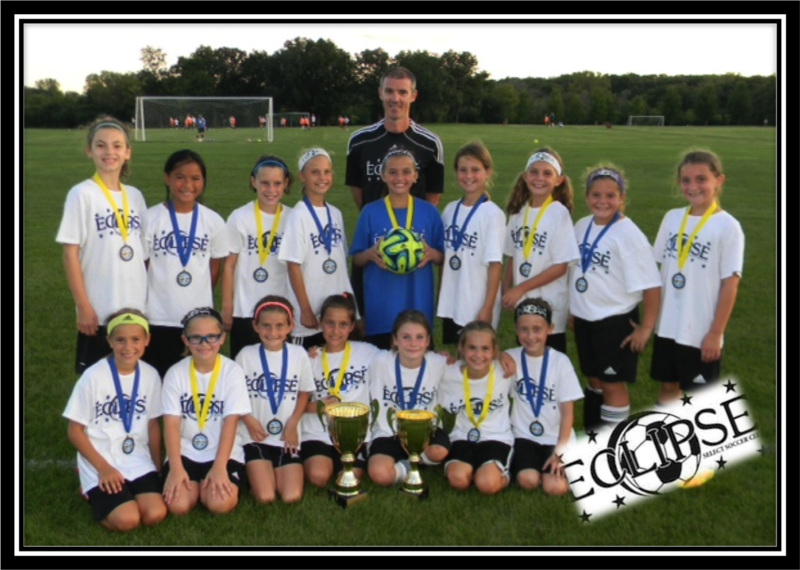 CHICAGO (Sept. 3, 2014) – Eclipse Select Soccer Club earned a championship at two age groups during the 10th annual NSR Gold Cup over the Labor Day Weekend at Frontier Park in Naperville, Ill.
At the U-10 Girls NSR 7v7 division, the Eclipse YDP East Black 2023 and Eclipse YDP East White 2023 teams each posted a 3-0-0 run in group play and were named co-champions at that age group. The Eclipse Elite USYSA 2016 (U-17) team also earned a title at the U-17/18 Girls NSR division. At the Palatine Celtic Cup, the Eclipse Elite ECNL 2019 (U-14) and Eclipse Elite ECNL 2018 (U-15) each won a championship crown at their age groups at the 2014 Palatine Celtic Cup over the Labor Day Weekend. The Eclipse Elite ECNL 2015 (U-18) and Eclipse Elite USYS (U-18) teams both qualified for the title game and were named co-champions.